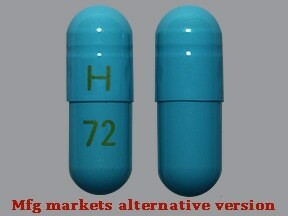 What conditions does Esomeprazole Magnesium treat? This medication may rarely cause a severe intestinal condition (Clostridium difficile-associated diarrhea) due to a type of bacteria. Do not use anti-diarrhea or opioid medications if you have any of the following symptoms because these products may make them worse. Tell your doctor right away if you develop: persistent diarrhea, abdominal or stomach pain/cramping, fever, blood/mucus in your stool. List Esomeprazole Magnesium side effects by likelihood and severity. What should I know regarding pregnancy, nursing and administering Esomeprazole Magnesium to children or the elderly? Does Esomeprazole Magnesium interact with other medications? 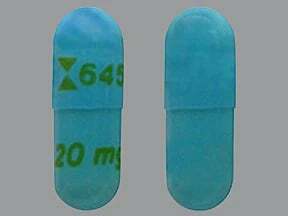 This medicine is a light turquoise, oblong, capsule imprinted with "logo and 6450" and "20 mg". 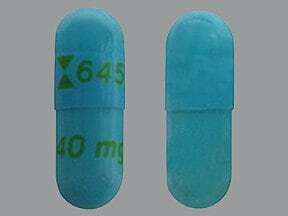 This medicine is a light turquoise, oblong, capsule imprinted with "logo and 6451" and "40 mg". 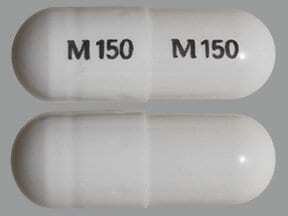 This medicine is a white, oblong, capsule imprinted with "M150" and "M150". 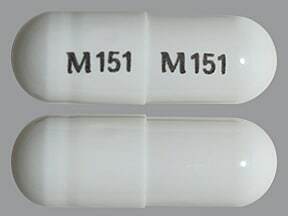 This medicine is a white, oblong, capsule imprinted with "M151" and "M151". 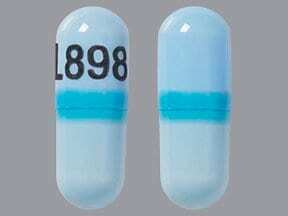 This medicine is a light blue, oblong, capsule imprinted with "L898". 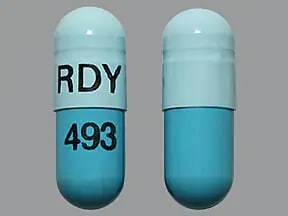 This medicine is a dark blue light blue, oblong, capsule imprinted with "RDY" and "493". 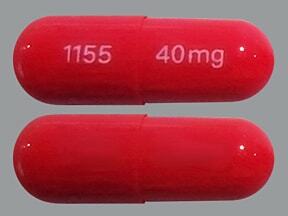 This medicine is a pink, oblong, capsule imprinted with "40 mg" and "1155". 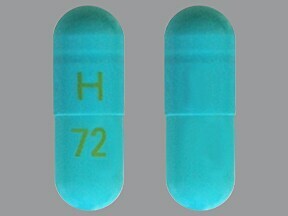 This medicine is a blue, oblong, capsule imprinted with "H" and "72". 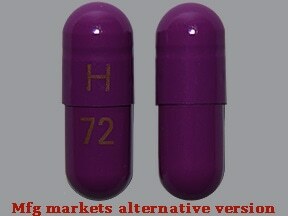 This medicine is a purple, oblong, capsule imprinted with "H" and "72". This medicine is a blue, oblong, capsule imprinted with "H" and "71". 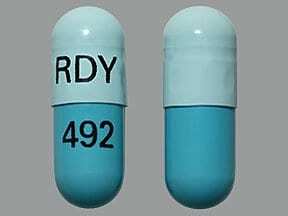 This medicine is a dark blue light blue, oblong, capsule imprinted with "RDY" and "492".